Cyrsti's Condo: Exceeding Trans Expectations? For years I worked in a highly competitive industry in which, success was decided on a daily basis. What have you done for me lately was the rule. As so often happens, by chance yesterday, Liz and I started talking about expectations and how they affect growing up transgender, or as a cross dresser. Being a cis woman, her idol for a long time was Christie Brinkley. Then of course, harsh reality set in and she learned she would never achieve the lofty heights of Brinkley's beauty. As we compared mental notes, we began to connect the dots between growing up cis, versus transgender. 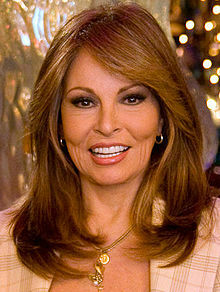 I said, Raquel Welch was, (and is) the cis woman of my dreams. I often wondered what I could ever give up to look like her for one day. Like so many dreams, unrealistic expectations come and go, but if you are creative and persistent, realistic expectations can be achieved. First of all, I had to learn what looking good (for a man in a dress) meant, then begin to discover the hard way what my positives were. Examples were, people told me I had wonderful eyes and I started to play them up. More importantly, I learned to dress for other women and not how my male self would view me. In other words, Raquel had to go away, to be replaced by the desire to blend in with other women around me. As I achieved it, I started to relax my expectations of how I looked and began in earnest to discover my full personality as a transgender woman. To my surprise, over time, I couldn't believe the expectations I did achieve. Sorry Raquel, still love you. Just not as much :). I've been told that I look like Leann Rimes, Connie Stevens, Jane Fonda, and even Connie Chung. I don't really see it, and I definitely never purposely tried to look like those women - or any woman in particular. I do try to present myself as I feel I am, which is a feminine creature of the human variety. Still, I was once put off a bit when a drunk girl said that I looked like David Bowie, as I am much more toward the feminine end of the gender binary. Maybe I should just be happy that nobody has said I look like Minnie Pearl, Phyllis Diller, or - God help me - Milton Berle in drag. As I sit here at the computer, I am still in wake-up mode. The mirror on the wall shows me to be a mess of a woman. That's OK, though, because I can get into makeup mode to take away the mess, but I'm still the same woman - either way. Actresses Jacqueline Bisset and Jaclyn Smith were my idols. Years later, I mentioned this to a Hollywood makeup artist who was giving me a makeover at a trans convention and he said that I had a better complexion than one of my idols, who he had worked with! So, you ever know!